Is Andrew Wiggins Worth a 5-Year, $148 Million Extension From the TImberwolves? The Minnesota Timberpups are evolving into Timberwolves, and with that maturity comes massive contract extensions. At a press conference on Wednesday, head coach Tom Thibodeau said the team is negotiating a potential five-year contract extension with Andrew Wiggins worth $148 million. The extension would go into effect next season (2018-2019), more than tripling the former Rookie of the Year’s salary. Wiggins is slated to make $7.57 million this year, but if the new extension is agreed upon, he’d make $25.5 million next season. That’s not all. The two sides could come to terms about monetary incentives for personal accolades, like being named to an All-NBA team or winning Defensive Player of the Year. If that’s the case, Wiggins’ salary could jump to $30.6 million. With the recent salary cap spike, NBA players are making more money than ever before. The Lakers dished out $64 million last offseason for a center with career averages of seven points and five rebounds per game in Timofey Mozgov. The Wizards also awarded Ian Mahinmi with a $64 million deal, and the 30-year-old center has never averaged more than 10 points or seven rebounds per game. This offseason, role players like Tim Hardaway Jr. and Kelly Olynyk were the beneficiaries, scoring starter-level money on long-term contracts. If teams are willing to break the bank for secondary players, they shouldn’t think twice about offering a boatload of cash to a former No. 1 overall pick coming off the best season of his young career. Wiggins was rated the single worst defensive player in the Association in 2016-2017, which doesn’t bode well considering Thibodeau is a defensive-minded coach.  According to that FiveThirtyEight article, opposing players had an effective field goal percentage of 56.1 when they were guarded by Wiggins. When they were unguarded, those same players had a 56.4 eFG percentage. Wiggins’ presence on the court made virtually no impact on opposing shooters, as amazing a feat as it is sad. A majority of his deficiencies on defense can be traced back to a single factor: his lack of effort. The Canadian-born athletic freak routinely jogs on closeouts, keeps his hands low, and gets beat backdoor because his eyes are fixated on the ball. These are all pretty common mistakes for younger players in the league, especially for ones on losing teams, but they’re not traits you want in a player you’re paying 15 percent of a billion dollars. The Timberwolves added Jimmy Butler to the mix this offseason with the hopes he can help mentor Wiggins and turn him into a more complete player. Butler came into the league as a defensive stopper, the opposite of Wiggins, and has since developed into one of the best two-way players in the game. Butler flourished under Thibodeau’s coaching in Chicago, and Minnesota’s front office hopes his dedication to the defensive end of the court will rub off on their other young players, especially Wiggins. The former Kansas Jayhawk has all the tools to be an effective defender in today’s league, and even drew comparisons to Kawhi Leonard coming out of college. Both had long arms, active hands, and terrific lateral quickness. Wiggins hasn’t lived up to any of his pre-draft defensive expectations, but he’s not a lost cause. With a little more effort and veteran leadership in the locker room from guys like Butler and Taj Gibson, it’s not hard to imagine Wiggins developing into an average defender, a major upgrade from being the worst defensive player in the league. Offensively, he can be unstoppable at times. The 22-year-old set a career high in points per game last season (23.6, 16th in the league) on 45 percent shooting from the floor and 35 percent shooting from deep, and assists (2.3). Wiggins’ bread-and-butter comes from the high block. The 6-foot-8 small forward loves to play with his back to the basket, where he can overpower small defenders and slice-and-dice his way to the rim against bigger, slower opponents. Wiggins scored 39.6 percent of his points in the paint a year ago, and nearly 60 percent of 2-point field goals were unassisted. When the shot clock was running low, the Wolves would dump the ball into Wiggins and let him work, and more often than not, it resulted in a bucket. Wiggins’ offensive game is similar to Butler’s; neither is a great shooter and both love to work out of the high post, which can create spacing issues for the rest of the players on the court. Karl Anthony-Towns and Jeff Teague are decent 3-point shooters, but neither demands the defense’s attention outside the arc. Thibodeau, who isn’t known for his offensive prowess, will need to get creative with his offensive sets to create enough spacing to maximize the scoring potential of his Big 3. That may include using Wiggins more frequently as a spot-up shooter in the corner as Butler or Teague run a high pick-and-roll with KAT, or using Wiggins as the screener to utilize his ability to punish defenders under the rim. There’s just too much talent on Minnesota’s roster to be bogged down by traditional offensive sets. 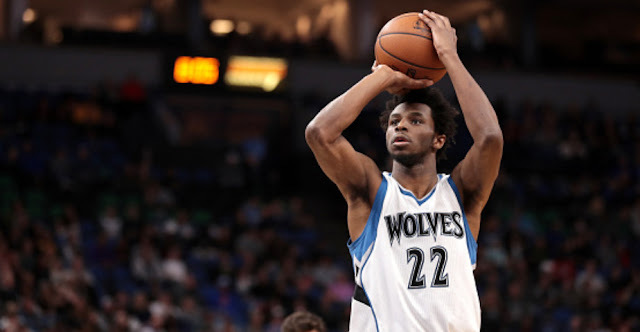 With all things being equal, is Andrew Wiggins worth $150 million? Probably not. At this point of his career, he’s a one-trick pony. But for a small market team like Minnesota, players of Wiggins’ caliber don’t come around very often. It’s even harder to attract a player of his caliber in free agency. So when a team like the T-Wolves drafts a budding star, it needs to do everything in its power to keep him happy. If that means paying $1.25 on the dollar for a 22-year-old who oozes potential, it’s an investment worth making.